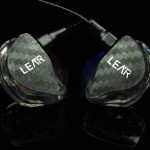 Lear, a Hong Kong based company, first came across my radar when they were making universal IEMs. 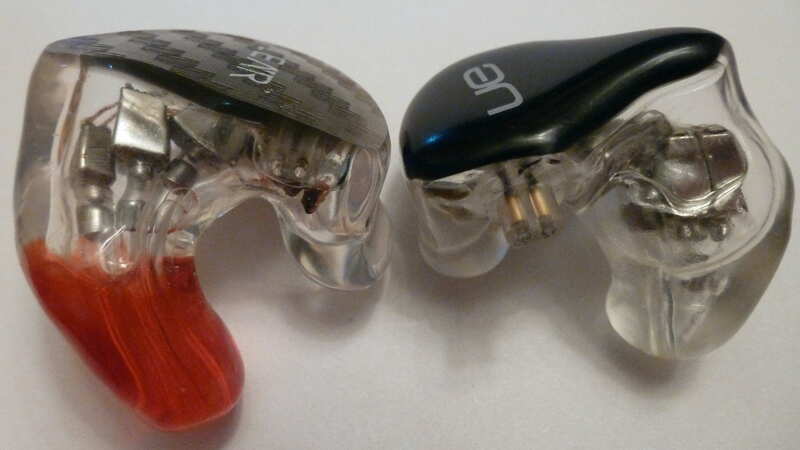 At some point they stopped making universals and a while later I found out they were making custom IEMs and portable headphone amps among other products. 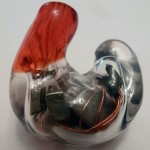 With 10 models of custom IEMs, several of which are similar in design, but tuned differently, they have one of the largest lineups of any manufacturer. The newest addition to their lineup is their flagship, the LCM-5 which has 5 drivers 3-way configuration. 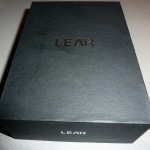 I had been in contact with the owner of Lear, Tatco, and he contacted me to let me know the LCM-5 was going to be released. 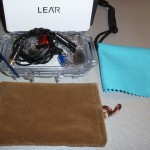 The Lear LCM-5 was designed with both the consumer and pro user’s needs as per Tatco the normal tuning has a slight bass boost and added warmth and when using the adapter, the sound becomes bass neutral and more analytical with added speed and clarity. The tradeoff is the added impedance makes the LCM-5 difficult to drive, although many amps don’t have issues when the LCM-5 adapter is inline. 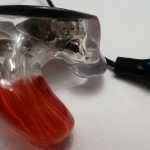 The adapter was designed to help bring out all the detail in the music, even if there is excess mid-bass that could veil the sound. Pro equipment, like most portable amps, should be able to power the LCM-5 with the adapter. Base price is $945 (at time of review) broken down as: LCM-5: HKD 6,888 + shipping to US: HKD 140 + 4.2% PayPal fee: HKD 295.12). Price as tested: HKD 8454.79 = $1091. 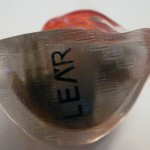 Purchasing a Lear product is done via their website. You must create an account to buy and the only payment option at this time is PayPal. 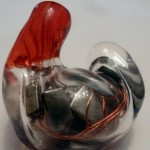 The LCM-5 uses 5 balanced armature drivers in an acrylic shell with a 3-way passive crossover (2 crossover points) with 1 low driver, 2 midrange drivers, and 2 treble drivers utilizing triple bores. 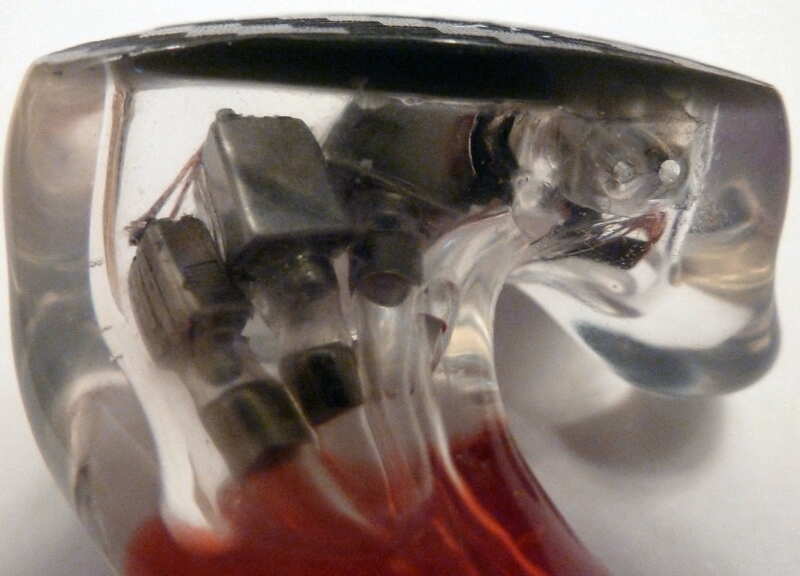 The cable is detachable and the sockets are flush with the shell. External fit and finish are excellent and the True Texture has a nice look and the feel and is unique. A new and improved cable is supposed to be available in the near future. 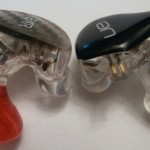 Disclaimer: My review is a comparative review, and since I have many similarly priced custom IEMs, my perspective is based on equally priced competition. 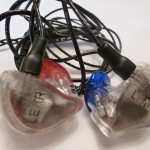 My goal is not to tell you how great the item being reviews is, but to explain the sound signature and characteristics as well as bring you a neutral and balanced account of the strengths and weaknesses to help you decide if this particular custom IEM is for you. 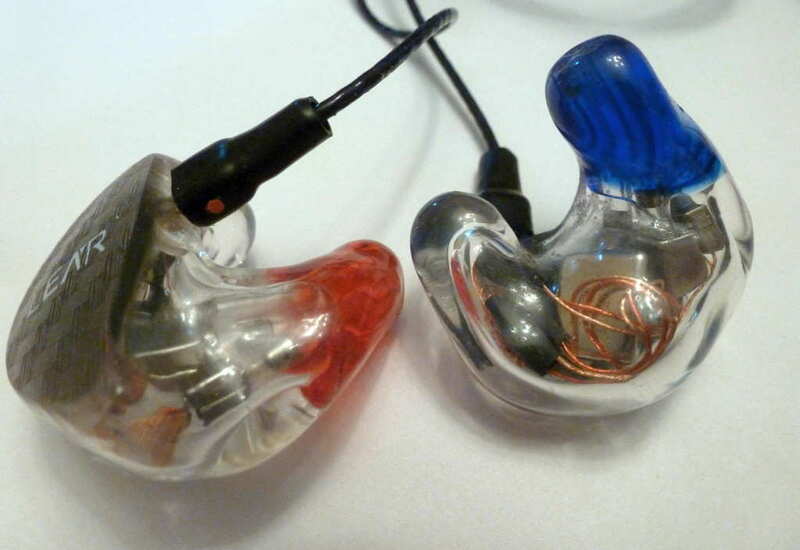 Without any reference point, most custom IEMs sound exceptional; contrast is important to the review process. 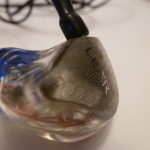 So take the review as a critical look at the custom IEM and realize there will be positive and negative aspects of every product I review and product selection should be based off the sound signature and/or other usage factors instead of looking for technical top performance. The LCM-5 received 100+ hours of burn in as is customary before I do my serious listening. 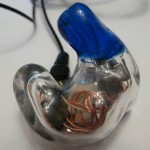 The following custom IEMs were used for comparison: Ultimate Ears IERM, Rooth LS8, Ambient Acoustics AM4 pro, Heir Audio 8.A, Hidition NT-6, Hidition NT-6 pro, ACS T1 Live!, EarSonics EM4, JH Audio JH16, and M-Fidelity SA-43. Bass: The bass can be defined as linear and neutral with a hint of warmth. 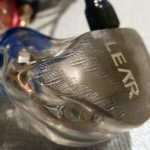 Per Tatco (owner of Lear), the bass is a bit north of neutral without the adapter, but in my experience it is more neutral than most everything in the price range including the otherwise neutral IERM and aud-8X. The NT-6 is a bit colder and closer to the LCM-5 with the adapter, but also has more capability to sustain deep bass notes. Detail levels are slightly above average with a very clean and fast note resulting in good overall quality of the presentation, although texturing is only average. 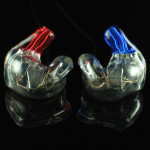 There is excellent integration between the bass and midrange drivers. While the bass drivers can sustain notes, the bass isn’t overly powerful or reverberant when compared with most CIEMs in the price range, however I wouldn’t say it is lacking, especially when amped. Overall the bass is very neutral, well controlled, and well-articulated, but don’t expect high levels of sustained deep bass notes. Midrange: Again the word neutral comes up when describing the midrange presentation, as it isn’t too laid back, nor too forward. In comparison, the majority of the CIEMs I compared with the LCM-5 sounded more mid-forward. The midrange is clean and clear with a slight tilt toward the analytical side and while detail levels are good in the grand scheme of things, performance is close to the IERM, SA-43, EM4, and T1 Live!. While the detail levels won’t knock your socks off like some of the more expensive CIEMs, imaging is excellent, conveying space in a realistic way that competes with the best of them. Overall the reference presentation combined with the detail levels and imaging results in a musical presentation with great instrument placement and a sense of distance from the presentation. Treble: If any part of the spectrum is enhanced, the treble would fit into that category as it is pulled slightly forward in comparison with the rest of the spectrum. Notes are on the analytical side, but not to the extent of more analytical CIEMs such as the IERM or NT-6, but still can have sharp S’s with brighter sources. Detail levels are a bit above average in the treble which at times can give the overall presentation a sense of higher overall levels of detail and clarity. Overall the treble is fairly natural, smooth, extended, and in balance with the rest of the spectrum. Presentation: With a close to what I would call a true neutral performance in both presentation and frequency response, the LCM-5 recreates a sound similar to other “reference” monitors. It does veer from neutral in that the upper midrange/treble is pulled slightly forward in comparison with the rest of the spectrum and the is a slight bit more bass and warmth than neutral. Notes are liquid and musical, however the attack speed is very amp dependent and a less than ideal match would result in lower dynamics and a flatter, less punchy and energetic sound. This isn’t an issue with most acoustic material, but speed metal and EDM tended to sound somewhat dull, but not necessarily lacking in speed. Of course, the proper amp pairing fixed this issue and this isn’t something people would pick up on unless comparing with other high end CIEMs. Clarity is nice but isn’t class leading mainly due to the presentation and level of detail. Where the LCM-5 does perform at the top of its class is in coherence, and during my comparisons, it was easy to pick out issues in coherence with some other CIEMs. 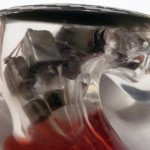 Transparency is also good and the presentation has good focus. Proportion and presentation of space is very good giving a realistic rendering of events with a very 3D presentation that has a bit more depth than width. Overall size is very good and the presentation has a nice balance between analytical and musical with a true reference presentation and sound. Use with the Adapter Cable: The power required to drive the LCM-5 with the adapter cable is quite high, so don’t expect to get much volume out of a DAP or phone, but the adapter was designed for use with pro equipment and worked fine with portable amps. Sonic changes include a brighter, thinner sound that has more detail to go with a more analytical note. This results in a more revealing and less forgiving sound. With most sources the inline adapter reduced the dynamics resulting in a somewhat compressed sounding and less involving presentation, although some of my portable amps overcame this issue resulting in a good deal higher performance. The adapter was made for monitoring, and the sound is closer to the NT-6, which is quite a neutral “reference” monitor. Volume performance: The LCM-5 has steady volume performance from low volumes to high volumes. The bass driver doesn’t need much power to kick in and still sounds adequate at lower volumes and doesn’t distort when the volume is turned up. Not being the most sensitive CIEM, the LCM-5 didn’t have too many issues with hiss and noise from sources, although it isn’t immune. With the adapter cable the sensitivity drops significantly and could be a problem with DAPs, but not the portable amps I paired it with. Notes are on the analytical side of neutral chasing the “reference” sound, and the LCM-5 isn’t the most forgiving, but isn’t as bad as the other “reference” CIEMs I have tested. With most sources the LCM-5 may sound a bit un-engaging given the dynamics and neutral sound, but that is by no means bad, or a bad thing. The LCM-5 reminds me a lot of the CK10. With the optional adapter cable a good amp helps power the LMC-5 to adequate volume levels. The sound is made colder and brighter and detail levels increase as does clarity, speed, and the analytical nature of the sound. Dynamics decrease a bit which become more problematic with the wrong amp. Logitech Ultimate Ears In-Ear Reference Monitors (IERM): These share a neutral sound signature and similar frequency response, although note presentation is different. The LCM-5 is overall smoother and less analytical, especially in the treble, which is a bit less prominent resulting in the LCM-5 being more forgiving and musical. Using the adapter brings the LCM-5 closer to the IERM performance in this regard, but it pulls the midrange forward and has a colder sound, further separating the presentation. Soundstage presentations are usually similar, but the IERM is a bit more laid back and slightly larger in width while the LCM-5 has more depth which makes the depth/width proportions seem more natural. With tracks with deep soundstages the superior presentation depth of the LCM-5 causes the midrange to sound more laid back in comparison with the slightly compressed sounding IERM. The instrument clarity of the IERM is similar to the LCM-5, but due to a better focus on the presentation, the overall presentation is clearer with the LCM-5. The LCM-5 is noticeably more coherent than the IERM, edges it out in transparency, and has similar instrument detail and resolution within the soundstage. Bass quantity is similar, but the LCM-5 extends deeper and can reproduce a bit more deep bass note sustainment. The IERM is slightly warmer and thicker sounding in the mid-bass region resulting in a better sense of speed from the LCM-5. As detailed in the soundstage presentation info above, the LCM-5 is typically a bit smaller and more forward, but depending on the recording and depth of the presentation, the LCM-5 can sound more spacious and laid back. With a better focus, the LCM-5 also articulates detail better and the space is a bit more realistic. Treble is divergent as the LCM-5 has a smoother treble with less emphasis than the IERM while the IERM is much more analytical and will show off all flaws in the treble region, although not provide more detail. While there are many similarities, these two have their own strengths as the IERM will find flaws in the music like no other with an analytical presentation that still has some warmth. The LCM-5 on the other hand has a more musical presentation that isn’t quite as bright, is more forgiving, and has an optional adapter that can make it more revealing. Both can be considered reference tools or neutral audiophile gems and will appeal to different people depending on how they like their sound signature as well as availability. Hidition NT-6: Sharing a neutral sound signature, the NT-6 is brighter and more analytical than the more laid back LCM-5. Along with the more laid back presentation of the LCM-5, there is also a bit greater depth to the presentation, but not quite the width of the NT-6. While the LCM-5 has great clarity, the NT-6 reveals the details in a cleaner and clearer way, pulling apart the presentation. Dynamics of the NT-6 are also greater, in large part due to the more analytical note with a faster attack, however decay capability of the NT-6 is superior as it can sustain notes longer when necessary. In addition, the NT-6 is faster, reproduces more detail and resolution within the soundstage, and images a bit better, but the coherence and transparency are very similar. The LCM-5 is more forgiving as it is not as revealing. Using the adapter with the LCM-5 brings the sound signature closer to the NT-6, but there is still a performance gap. Deep bass is quite different as the NT-6 boost the deepest registers in comparison with the LCM-5, providing a very strong and reverberant performance down low when present in songs. Otherwise, the bass quaintly is similar, but the NT-6 is still more capable. Due to the slower note attack, the LCM-5 sounds a bit warmer than the NT-6, but not by much. The midrange of the NT-6 sounds larger, but the LCM-5 does hold a slight advantage in presentation depth at times. While the LCM-5 is on the brighter side, the upper midrange and treble of the NT-6 is more prominent which can result in sharper Ss, but there is more detail and clarity to go with the added brightness. Similar to the IERM comparison, the LCM-5 and NT-6 are close in many ways, but the analytical NT-6 presents more immediacy, detail, and really shows you what the presentation is all about while the LCM-5 has a more liquid and organic presentation in comparison. The adapter cable does move the sound signature closer to that of the NT-6, but the NT-6 is still clearer, more revealing, and more immediate. Both are strong performers and the NT-6 will appeal to those that want maximum resolution and detail with the ability to clearly pick apart presentations while the LCM-5 has an organic touch to an analytical, neutral presentation and with the adapter cable is more flexible. Hidition NT-6 pro: While the LCM-5 is quite neutral, the NT-6 pro approximates this except at the frequency extremes with a bump at both ends. This leads to a brighter presentation that is also heavier on the deep bass for the NT-6 pro while the LCM-5 is a bit warmer. The LCM-5 offers nice clarity, however the NT-6 pro is clearer and cleaner with better resolution of detail as well as presenting that detail in a more up-front way. Soundstage width is overall larger on the NT-6 pro but the LCM-5 sounds deeper because of the depth/width proportions. The NT-6 pro is technically more capable in speed, transparency, coherence, and dynamics and it is easier to hear issues with sources and tracks with the NT-6 pro. While the LCM-5 is not lacking in the bass department but the NT-6 pro makes it sound weak due to superior capability combined with enhancement and punchiness. As mentioned, the LCM-5 is warmer, and that warmth continues up through the midrange, which with a slightly more laid back presentation sounds dull in comparison. The treble of the NT-6 pro is not only more prominent, but it also sounds more natural. The NT-6 pro has an exciting, dynamic, designed to add fun to the reference sound while the LCM-5 is more neutral, warmer, and less dynamic and immediate. The NT-6 pro isn’t for everyone due to the colder, brighter sound, but it is ultimately clear and revealing with a kick in the lower registers that is very different from the more traditional LCM-5. Rooth LS8: The LS8 is warmer and fuller with a more forward presentation while the LCM-5 is more spacious and 3D, but overall they aren’t too far apart. With more detail and dynamics the LS8 recreates an excitement the LCM-5 doesn’t, but the better coherence across the frequency spectrum and neutral presentation gives the LCM-5 a more natural tone. Clarity of the LS8 is superior, mainly due to the enhanced treble and additional instrument detail, and the LS8 is more forgiving of poor tracks due to the more liquid presentation. The bass enhancement of the LS8 is apparent in comparison with the LCM-5 as the punchier, warmer, and more reverberant bass of the LS8 adds a sense of power and dynamics to the presentation. However, the neutral midrange of the LCM-5 makes the LS8 sound like it has a recessed midrange and malformed soundstage presentation. Moving to the upper midrange, the LS8 starts to pull away from the LCM-5, and by the time the treble region is hit, the LS8 quantity is much higher. The LS8 is more detailed and extended with a nice liquidity to the notes. Sometimes one headphone will make another sound rather lacking, and this is the case with these two as the neutral LCM-5 exposes the coloration and non-linear frequency response of the LS8. While the LS8 in turn does expose the LCM-5’s lower dynamics and detail level, the discrepancy between the performance is not nearly as palatable. Ultimately, these two are not complimentary, so if you choose LS8 you probably don’t want the LCM-5 around to expose the issues. Choosing between the two is as simple as fun vs. reference. JH Audio JH16 Pro: As one would expect, the bass enhanced JH16 sounds warmer and fuller than the brighter, more laid back LCM-5. The midrange of the JH16 is more forward and the overall presentation is wider, but the LCM-5 has more depth to the presentation. Combine this with better imaging for the LCM-5 and the results are a much more 3D sound. Dynamics and speed on the other hand are a good deal superior with the JH16, and detail levels also surpass the LCM-5 by a good amount. Due to the more accurate presentation space of the LCM-5 and the better integration between the drivers, transparency and coherence are better with the LCM-5. Clarity is quite similar, but due to the better imaging and more 3D presentation the LCM-5 sounds more open with complex and spacious tracks. The JH16 is more forgiving of poor quality tracks. No question the JH16 bass is more enhanced, powerful, detailed, and faster, and the speed and detail advantage continue up the frequency spectrum. In the midrange up to the treble, the JH16 is colored for fun in comparison to the thinner and more balanced and neutral LCM-5. While the JH16 holds some advantages over the LCM-5, the LCM-5 paints a more realistic presentation. 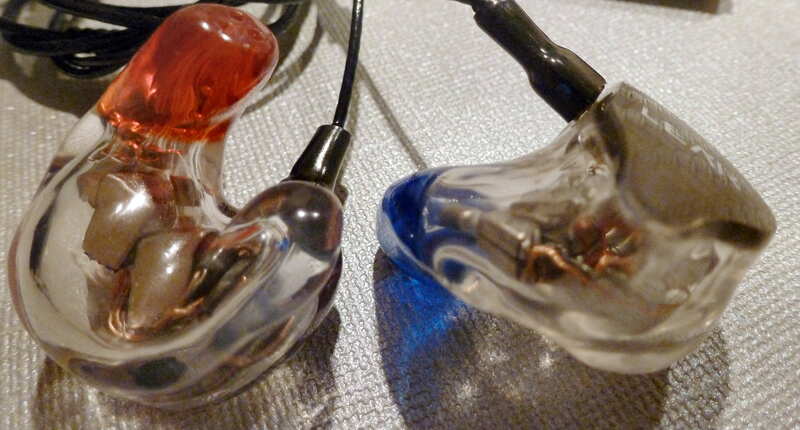 Having complementary sound, these two are quite opposite as the JH16 has a colored and exciting sound when compared with the LCM-5. Technically the JH16 is superior to the LCM-5 in many ways, but the weaknesses of the JH16 cause the LCM-5 to have an overall similar technical performance. Choose the JH16 for an exciting sound and the LCM-5 for a neutral, reference sound. ACS T1 Live! : Both of these offer a different “neutral” presentation, with one being made for use on stage and the other more of a studio reference. With similar soundstage width, the more forward T1 Live! gives more of a sense of width while the LCM-5 gives a better sense of depth to the presentation. The LCM-5 is clearer and a bit brighter with slightly more detail and an ever so slightly thinner note. The T1 Live! is a bit more transparent and dynamic while the LCM-5 is slightly more coherent. Both are similarly forgiving of poor masters/low bitrate tracks. The bass of the T1 Live! is a bit more enhanced and slightly thicker leading to a fuller and warmer presentation, however the deep bass is similar between the two and the LCM-5 has a bit more deep bass punch. Vocals sound different as the T1 Live! not only has more up-close and personal vocals, but they are also warmer and more throaty with an organic trait to them in contrast to the more analytical presentation of the LCM-5. Lower treble is more up close with the T1 Live! while the LCM-5 has more emphasis on the upper treble region giving the sense of more extension. Overall the T1 Live! treble sounds more natural. The T1 Live! gives an organic presentation that is warmer and richer than the more laid back and analytical LCM-5. If you want details served up to you, the LCM-5 will give you more in contrast to more focus on the overall presentation from the T1 Live!. The choice should be easy choosing between stage and studio use, but for audiophile use it just depends on what you are looking for as technical performance is very close. EarSonics EM4: The EM4 contrasts with the neutral presentation of the LCM-5 with increased dynamics, warmth, and bass capability. The midrange and treble presentations are somewhat similar, but the enhanced bass of the EM4 is quite different. Soundstage size and presentation are not far off, but the LCM-5 is slightly wider than the EM4 while the EM4 has slightly more depth with better imaging. Transparency is similar, but the LCM-5 has a bit better coherence across the spectrum. Speed is similar, but note attack and decay as well as better dynamics are better with the EM4. The EM4 is more forgiving of poorly mastered or low bit rate tracks. The LCM-5 bass sounds rather light in comparison with the much fuller and more reverberant bass of the EM4. With a warmer presentation, the EM4 gives instruments and vocals a richer sound. While detail levels are a bit higher with the LCM-5, the smoother, more liquid note of the EM4 is more engaging and involving compared with the analytical LCM-5. The LCM-5 treble is a bit brighter and analytical in comparison to the more refined EM4. The LCM-5 has a reference sound that is good for hearing great detail while the EM4 offers a richer, more refined sound that is nice to listen to for hours on end. Even though the midrange and treble are presented somewhat similarly, the note attack/decay and bass differentiate these two quite a bit. The EM4 is more of a fun and involving CIEM while the LCM-5 will allow you to easily focus on the details of a presentation. Heir Audio 8.A: The 8.A is quite different than the LCM-5, adding a fun coloration to the sound vs. the neutral sound of the LCM-5. With the comparatively laid back presentation, the LCM-5 sounds a bit dull and flat in comparison, although the 8.A doesn’t always sound natural in comparison due to the difference in depth vs. width as the LCM-5 has more presentation depth. Clarity is better with the LCM-5, although instrument detail levels are similar and the overall resolution of the entire presentation is similar. Speed is more apparent with the LCM-5 as the 8.A has a thicker note that never gets as quick as the LCM-5, but the presentation is more liquid and smoother. Transparency and coherence are similar while the 8.A is more dynamic with better imaging within the soundstage. The 8.A is more forgiving of poorly mastered and low bit rate tracks. With more power and warmth, the 8.A bass gives a richer presentation that makes the LCM-5 sound on the cold side. The quality of the bass is similar overall as the 8.A has better texturing, but the LCM-5 has better control and is more revealing, but the 8.A has better note sustainment. With a more forward midrange, the 8.A puts more emphasis on vocals while making them more enjoyable, although the LCM-5 is more tonally accurate for female vocals. Treble of the LCM-5 extends further and has a bit more detail while the laid back treble of the 8.A is smoother and never offensive. These CIEMs are compliments with the 8.A giving a mid-forward, rich, and fun presentation that has a laid back upper end while the colder, neutral LCM-5 presents the music in a more realistic way. Performance wise, they aren’t too far off and have different strengths and weaknesses. The LCM-5 would be ideal for those that want a detailed, neutral, and analytical presentation while the 8.A is great for those that want a fun and engaging experience. M-Fidelity SA-43: The expansive SA-43 makes the brighter LCM-5 sound up-front and personal, and that is no small feat due to the LCM-5 presentation. They share a similar soundstage proportion, which is very 3D, but the SA-43 has a bit more detail within the soundstage while the LCM-5 has a good deal more instrument detail. While the LCM-5 is no slouch in transparency, coherence, and imaging, the SA-43 bests it in those categories as well as dynamics and imaging. On the other hand, the LCM-5 has better clarity and speed. Notes are slightly thicker on the SA-43 which leads to a slightly more organic presentation of the music that is more forgiving. The SA-43 can be a more bass heavy CIEM, depending on the switch settings, and when the bass boost is on, the SA-43 has more capability in the lower registers than the LCM-5. With a warmer presentation, the SA-43 produces a richer sound regardless of the switch settings. The presentation differences in the midrange are significant as the more laid back SA-43 gives a larger sense of space and distance than the LCM-5, which is more spacious and laid back than most. The upper midrange though the treble region is a good deal more prominent with the LCM-5, but the SA-43 treble has a more natural note decay. While I could consider both to be laid back in presentation, these two are more compliments than competitors as the SA-43 has a more organic and bass heavy presentation in comparison with the colder, neutral, and detailed LCM-5. The SA-43 has a more spacious and slightly darker overall sound than the LCM-5. The SA-43 switches do change the presentation, but they don’t bring it to the “reference” presentation of the LCM-5, and the LCM-5 adapter pushes the sound further from the SA-43. LCM-5 for pro listening or for people that want neutral, the SA-43 would do better on stage and for the serious listener that is in search of euphoria. Ambient Acoustics AM4 Pro: The AM4 Pro is about half the cost of the LCM-5, but since the AM4 pro performed well for the price, I wanted to make this comparison. The LCM-5 presentation is similar to the AM4 Pro, but everything is just pushed back further and the overall space is larger and the midrange is a bit more laid back as if you are further from the performers. The LCM-5 outperforms the AM4 Pro in imaging, is a bit more resolving of the overall presentation, and has a slightly more natural tone, but the differences aren’t huge. The LCM-5 is more coherent, a bit more transparent, and more forgiving of poorly mastered tracks. The AM4 Pro has a bit more deep bass presence and capability to sustain deep bass notes compared with the LCM-5, but warmth is similar. The midrange of the AM4 Pro has better articulation of details, but the LCM-5 has more information in the presentation. Placement of the midrange is also different as the AM4 Pro is more forward and emphasizes vocals more. The treble of the LCM-5 is laid back in comparison to the AM4 Pro without the adapter, and with the adapter, it still trails the LCM-5. While detail levels are similar between the AM4 Pro and LCM-5, the AM4 Pro accentuates the detail more but can sound rather sharp in comparison depending on the track. While these two share some qualities, the LCM-5 performs at a higher level than the AM4 Pro, as it should given the price, however the decision should come down to sound signature. If you want a neutral sound and your budget can’t stretch to the LCM-5, you will be losing out on resolution and a more natural and neutral sound, but the differences, except in the treble, aren’t huge. You will get better dynamics, more of a focus on vocals, more bass capability, as well as a brighter presentation from the AM4 Pro. With the adapter cable: The hiss of the Cruise goes away but the dynamics remain giving the Cruise the edge over the other two sources. The D1 does have a bit more of a 3D presentation, but sounds a bit strained in comparison with the Cruise. The Leckerton retains it composure well with the adapter cable while the MX1/301 combo loses more dynamics than the other sources. Source Summary: The LCM-5 is amp dependent more so than DAC dependent as the LCM-5 requires a strong amp section to deliver good dynamics, but entry level DACs don’t hold the performance back too much. As the Clip+ showed, an amp isn’t necessary, but there are improvements to be had by choosing the right amp. If you want to use the LCM-5 with the adapter cable an amp is recommended to provide decent volume levels and proper dynamics. With a neutral presentation of the midrange, tame yet capable bass, and ever so slightly bright treble, the LCM-5 offers its own flavor of “reference” sound that I found to be more neutral than most other “reference” tunings. The LCM-5 excels in coherence across the frequency spectrum and has the ability to make less coherent competitors sound lacking. Imaging is excellent and the presentation of the soundstage space is very good leading to a realistic sound which doesn’t focus on any one part of the spectrum. While the LCM-5 is on the analytical side of things and has high levels of clarity, the level of detail recreated is average leading to a non-fatiguing sound despite neutral and analytical sound signature. The LCM-5 is a great option for those that want neutrality and clarity with a non-offensive top end. 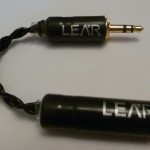 Lear offers an adapter cable to create a true reference sound that increases the brightness, level of detail, and clarity while quickening the notes resulting in a colder and more analytical sound. The required drive force is increased considerably, but a good amp can drive it well. This optional adapter adds another sound signature option and makes the LCM-5 better suited to studio work. Since the adapter is removable, the LCM-5 can be used by a studio engineer as both an in studio tool and for pleasure without the adapter for double duty. – Neutral and coherence presentation across the frequency spectrum. – Non-fatiguing considering the reference sound signature. – Dynamics can suffer without the right amp/source pairing. 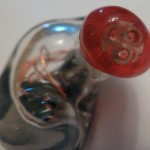 – Detail levels are average considering the sound signature and price range.